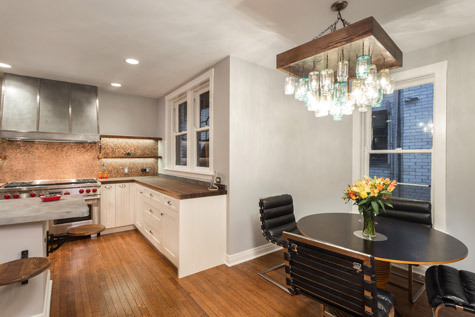 Chi Renovation & Design is Chicago’s leading general contracting and design studio specializing in kitchen, bathroom, and basement design. We offer a true “one-stop shop” for all of our clients’ home improvement needs, managing each aspect of a client’s renovation from start to finish. While we specialize in kitchens, baths, and basements we also enjoy entire home remodels, from full gut rehab jobs to room-specific and custom designs. Our knowledge and expertise in both the renovation and design industries give us a unique advantage over other design companies in the area. That, paired with our long-standing relationships with craftsmen and contractors in the Chicagoland area, ensure our clients receive the best care throughout their project. From our approachable project managers to our knowledgeable designers and home improvement associates, our projects continue to exceed all client expectations – completing projects on-time, within budget, and to our clients’ complete and utter satisfaction. Working with our team at Chi Renovation & Design is a unique experience, where we pride ourselves on providing high-end design and quality construction with prices that accommodate every budget. Our passion for long-lasting and beautiful work coupled with our enthusiasm for client-designer collaboration inspires us to make each design as unique as our clients. We enjoy finding innovative solutions to challenging design dilemmas and bring each home to its full potential. Whether you’re just curious about the design process in general or want to discuss a specific design project, we’d love to talk. If you find us to be a good fit for your project, we’ll set up a free in-home consultation with one of our team members, who will then determine the best course of action for your renovation and/or design and work with you throughout the entire process. If your project ends up being out of our range of work, we’ll happily refer you to a trusted professional in the Chicagoland area. 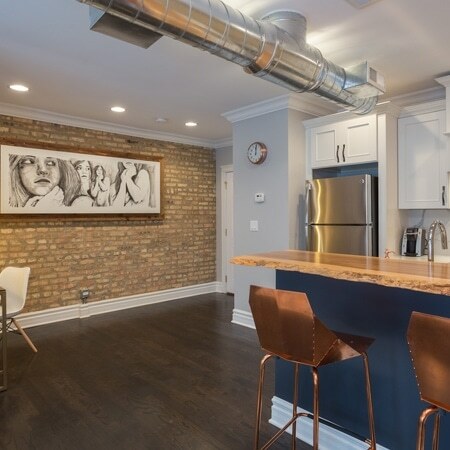 Learn more about our Chicago kitchen remodeling, Chicago bathroom remodeling, and Chicago basement renovations.